The thyroid gland is a small yet powerful butterfly-shaped gland located in the front of the neck. The thyroid gland is very important for the body’s growth and regulating many bodily functions. If it produces more or lesser hormones, there can be many consequences for the body, including changes in body weight, metabolism, emotions, digestion, sleep, energy and much more. 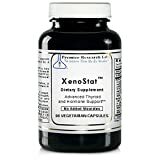 Thyroven by Premier Research Labs is a nutraceutical thyroid formula with natural iodine that offers premier detoxification and thyroid support. Keep reading for the full Thyroven Dietary Supplement Reviews. Premier Research Labs Thyroven is a premier nutraceutical thyroid formula. Its powerful dose of ingredients offers best detoxification support and complete nourishment for healthy thyroid function. In addition, it also features naturally occurring iodine, a mineral important for thyroid function. This formula comes encapsulated in 100% solvent-free vegetable capsules and packed in PET plastic Violate bottles to protect the ingredients from light frequencies that may create radiation damage. The unique blend of ingredients specifically formulated in Thyroven plus healthy diet and lifestyle will support the functioning of your thyroid gland. Moreover, it naturally works to restore the balance of hormone production. One bottle of Thyroven contains 60 capsules‚ which is sufficient to last for up to two months‚ depending on your dosage. Organic Parsley (leaf) (Petroselinum crispum). All these ingredients are helpful to keep the thyroid in good shape. Other Ingredients include – Vegetable Cellulose Capsule. Thyroven are 100% Solvent-free vegetable capsules. They have no undesirable tablets‚ glues or fillers. Manufactured in a cGMP compliant facility for superior quality assurance this supplement is Pure Vegan / Excipient-Free product. Adults or Children (age 12 and up): Take 1 capsule‚ 3 times daily or as directed by your healthcare or for special programs your health care provider can recommend up to 12 capsules daily. Please consult your healthcare professional before using this product, if you are pregnant or nursing. Thyroven has excessive iodine content, which could cause certain adverse side effects, in pregnant women. Excess iodine can create cognitive problems for the unborn child. Hence, pregnant women should avoid this supplement. Furthermore, high iodine levels can also cause goiter, elevated TSH levels, and hypothyroidism. Thus, people with mild iodine deficiencies should stay away from this supplement. Thyroven are 100% Solvent-free vegetable capsules. They have no undesirable tablets‚ glues or fillers. Manufactured in a cGMP compliant facility for superior quality assurance this supplement is Pure Vegan / Excipient-Free product. Premier Research Labs is a popular company worldwide and well-known to bring cutting-edge and dynamic products including Thyroven. You will find an impressive number of positive customer feedbacks for this product. People say it has amazing ingredients that work great without any side effects. Moreover, it is easy to swallow tablet that is available at great price. However, few customers are not completely happy with the product. Some say it didn’t work tastes awful and smell like garlic. Lauren’s holistic doctor recommended her Thyroven and other Premier Research Labs products after diagnosed with Graves Disease. This product offered her great immune and thyroid support and other Premier Research Labs supplements helped her keep chemical medications away. She is thankful to the company to produce and provide the best-controlled products. Margarita loves this supplement. It makes her feel energized and complete. In addition, she says its price encourages her to continue taking the product. Sandra is using this product for a sluggish thyroid. 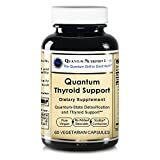 Now, she happily mentions that her thyroid numbers are back in line with being normal after starting with this supplement. Peter says it didn’t work at all. Plus, the smell and taste are disgusting. Kavita says the intake of the product made her nauseous and sick. She is unsure if any ingredient in it is allergic and creating this problem. If you’re looking for a natural supplement that offers premier detoxification and thyroid support, try Premier Research Labs’ Thyroven today.